The security of your business is a top priority for smart business owners. When you make security a priority, your property, your information, your employees, and you are all protected. The security of your business should be a priority year round. 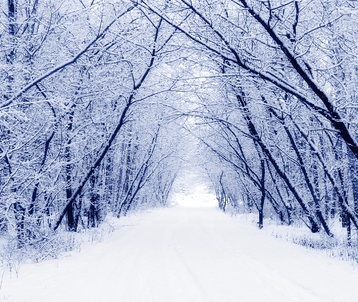 However, the winter brings unique security concerns that you’ll want to address. We’ve compiled a list of tips to help you navigate the unique security concerns that come with the winter months to help keep your business protected. During the winter, it gets dark much earlier than other times of year. In fact, the sun often sets before 5pm. During this time of the year, it’s more important than ever to make sure your business has proper lighting. Be sure to have the perimeter of your property, as well as all entrances and exits, properly lit to ensure maximum visibility. When your business does not have proper lighting, it is subject to theft, break ins, and other crimes that can occur while criminals can easily conceal themselves in the dark. During the winter, there might be times where you can’t get to work because of the snow. You might also miss some time in the office because you’re on a vacation somewhere warmer. In these cases, you’ll want to be sure you can still monitor your property. That’s where smart technology can come in handy. With the latest technology, you can monitor your security footage straight from your phone. You can also receive alerts any time an alarm goes off or your security system detects a problem. With smart technology, you have the ability to monitor your business no matter where you are. With all of the time you spend inside during the winter, it’s the perfect time of year for planning and adding improvements to your existing security measures. To improve your business’s security, the first step you should take is to have a security risk assessment. During the assessment, a professional security company will come to your business and assess your property. They will identify all vulnerable spots in your security and make suggestions for improvement. They will also identify the optimal placement for your security cameras to ensure maximum visibility. A security risk assessment is the best way to develop a well-informed improvement plan for your business’s security. Because winter is a good time for planning, you might want to take this time to address your emergency response plan. It’s important to make sure that there is a procedure in place for emergencies and that everyone in your office is aware of it. Make sure you have proper alarm systems and strong lines of communication to ensure that every individual is notified in the event of an emergency. If your business has security officers, they are a valuable resource in emergency response, as they can take the lead and provide directions when any issues arise. If your business does not already have security officers, you might consider hiring them to add an extra layer of security to your business. Security officers can patrol the property both during business hours and when no one else is around to keep your business safe. Their presence will deter any criminals from committing theft, break ins, or other crimes on your property. Security officers will also watch for suspicious activity to stop perpetrators in the act. Finally, security officers can be highly valuable in emergency situations, as they are highly trained to keep calm and react appropriately while providing directions to you and your employees. We can offer all types of business fully integrated and custom security solutions. We’re proud of our decades of experience in serving a wide variety of industries including warehouse, construction, retail facilities, schools, multi-tenant office buildings and much more.